More photos, revealing two new (smaller) statues. I'd get all of them if they weren't so expensive... but as it is, I've gotta have the Korras at least. XD; Hopefully they'll put up preorders soon. EDIT: Looks like the pre-orders are up for the big statue, at least. They're supposed to ship in July, and there's a code for free shipping for pre-orders. Interestingly enough, the design for the figure was apparently done by Ryu Ki Hyun himself. Zywer added the pre-orders for the Chibi statues to their site. August is the estimated arrival date. It's interesting how much merchandising we're getting years after both shows ended. He said the photo is the first pass, so there may be some tweaks to the final version. That's neat. As long as it's not like 500 dollars or something, I'll probably preorder it. 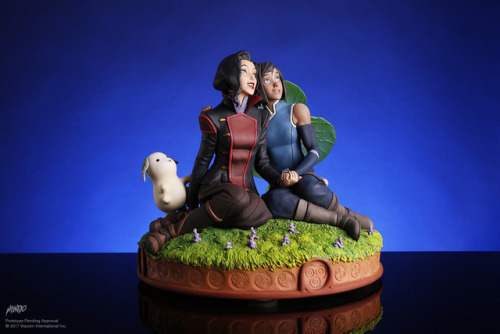 Considering how sparse ATLA/TLOK figurine merchandise is, I'd happily buy something like that. 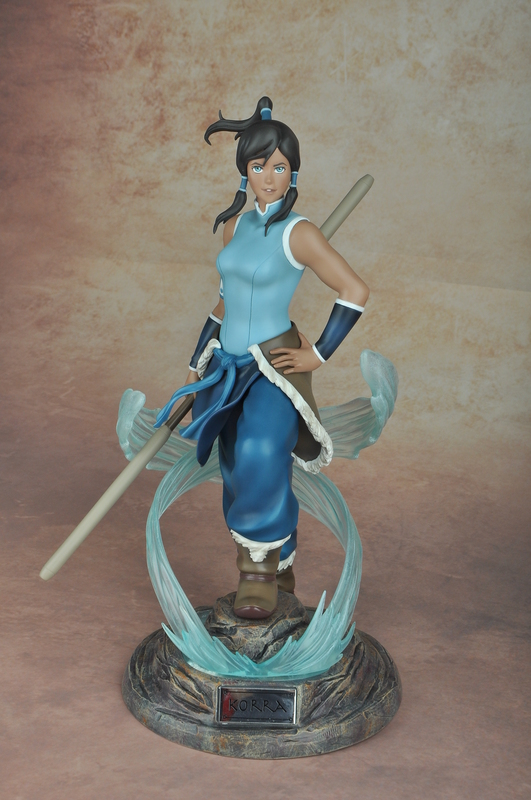 I'm glad we at least got some solo Korra figures before this joint one. I also like that they've given her a bit of muscle detail in her arm. 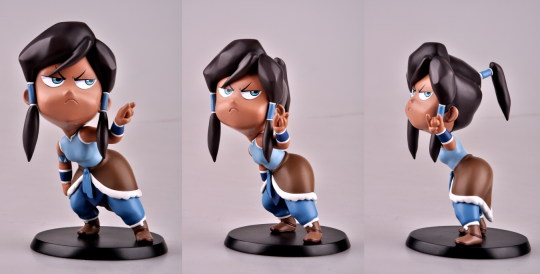 There was a Chibi-Katara Bobblehead produced in a very limited run and given out only (I think) in a few Nickelodeon prize packs. 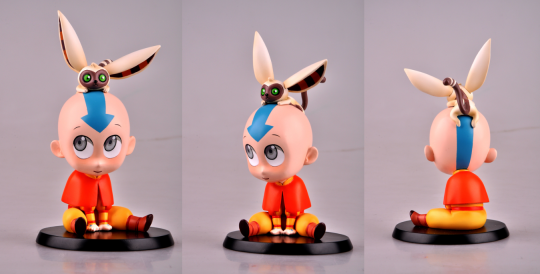 AtLA merchandise is a rather depressing state of affairs. EDIT: Speaking of, it's been a year since Zwyer Industries did anything. The Yahoo store seems broken. Are these guys still in business? 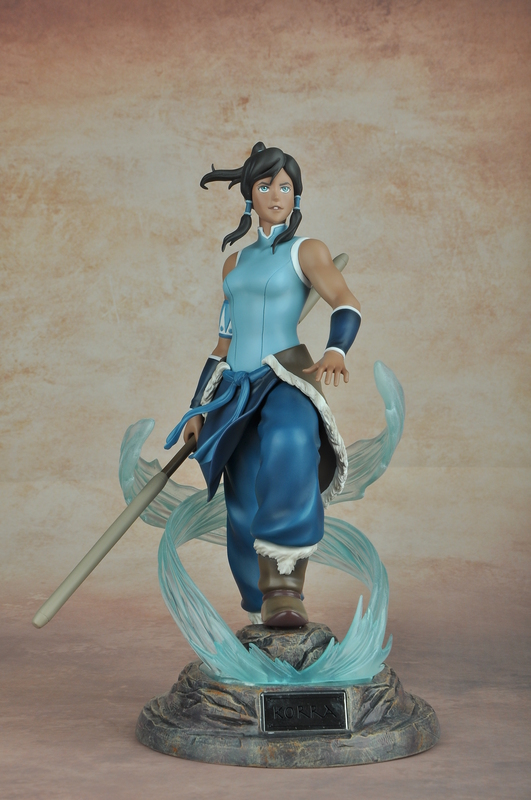 I'm glad Katara at least got something, even if it still stings that she never got an action figure. I think Zwyer Industries is still going? Their website is still up, even if the store seems broken, and they've made Facebook posts since the chibi statues came out. 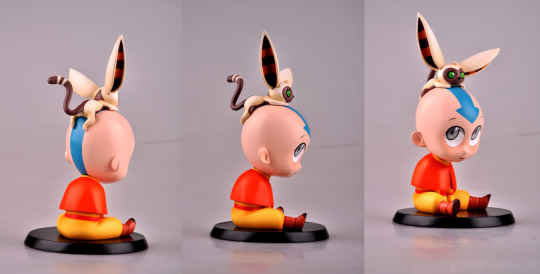 In December they posted photos of a sepia-tone version of chibi Aang, and in March they posted the concept art for the chibis. I don't know how well their stuff sold though. Well, that's good. 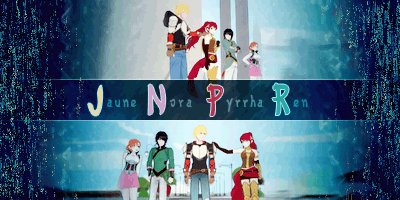 I want them to make good on all those silhouettes they teased two years ago. 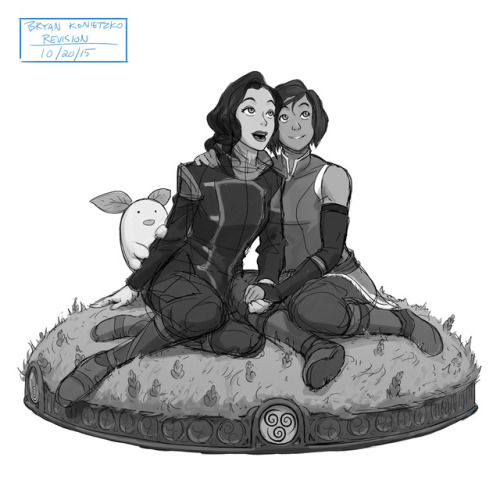 The Mondo Statue of Korra and Asami is now available. Their expressions are still really stupid. Wow, they look kind of Disney Princess.